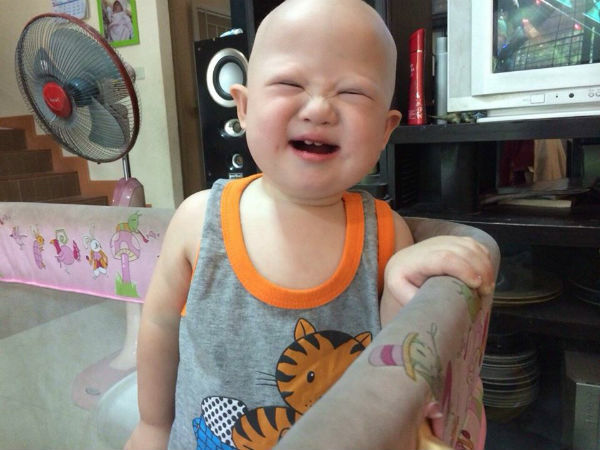 It’s been a year since we learned about the plight of Gammy, the adorable baby with Down syndrome who was left behind in Thailand with his surrogate mother by an Australian couple. A lot’s happened in the past 12 months. Gammy’s case shocked Australia, but it led to an outpouring of support for the baby boy, his Thai mum, Pattaramon ‘Goy’ Chanbua, and the charity helping them, Hands Across the Water. And according to the latest Facebook updates from Hands Across the Water, the 17-month-old is thriving. “When you see this happy little fella it just brightens your day. Gammy has had a great report from his specialist and he looks like life is pretty good for him right now. Don’t you love that face!” the July 9 post says. It’s a far cry from where Gammy was this time last year. His surrogate mum issued a plea for help to raise money to help care for critically ill Gammy, who had been left with her after she gave birth in December 2013. His biological parents had returned to Western Australia with Gammy’s twin sister. They had requested that Goy abort Gammy after discovering via an ultrasound he had Down syndrome. But Goy, a Buddhist, refused and in Thailand, the surrogate is automatically deemed the child’s legal mother. 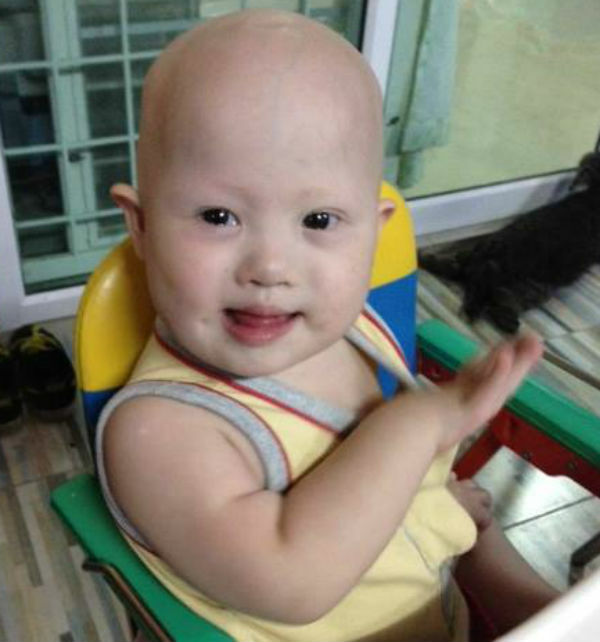 Generous donors raised more than $250,000 for Gammy and the case changed surrogacy law in Thailand. Gammy underwent desperately needed tests on his heart, and got access to specialist doctors he wouldn’t otherwise have been able to see. A serious lung infection was treated in hospital. Late last year, Gammy’s lung infection resurfaced, putting him in hospital for six days. But then came wonderful news – he and Goy moved into their new home, bought by a trust held for Gammy by Hands Across the Water. And they’ve gone from strength to strength ever since.